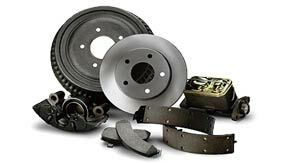 We offer expert brake repair with the same care and craftsmanship as our transmission repair services. Accutran has been offering brake repair to the greater Seattle area from our local Burien brake repair shop. Providing sound brake repair service and peace of mind to our neighborhood customers for over 40 years. Servicing Seattle, Burien, West Seattle, Tukwila, Renton and surrounding areas. Whether you are experiencing low pressure when pressing on the brake pedal, squealing, grinding or a good old fashion brake light warning, let our trusted Burien repair specialists service your brakes and let you focus on more important things. Avoid the costly repairs of continual wear on your brakes or other more expensive parts such as the vehicles hubs, bearings, caliper, or rotors. Contact us for a quote on expert brake repair and schedule an appointment so that we can get you back on the road and safe again.